Sport plays such an important part of the culture of a country but ranting about the Rugby World Cup will not interest many readers of this blog who are planning their relocation to London. You may be a little shocked to learn that baseball actually originated in the United Kingdom. Good news for Americans moving to London; not such good news for Americans moving to London who thought it was invented by Americans. The words “base ball” was first used in the book ‘Northanger Abbey by English writer, Jane Austen. The game has been played in England in many different forms since the middle of the 18th century and is commonly known as Rounders in the UK. Of course, there is no dispute that the most famous form of the game was developed in the United States – Major League Baseball! 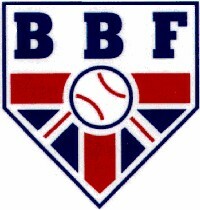 If you are planning your relocation but don’t want to leave your sports behind at home, not to worry, the British Baseball Federation (BFF) is here to take care of all your sporting needs. There are over 50 baseball teams in the United Kingdom and several of those are found in London. With the large numbers of Americans moving here each year, the sport is gaining in popularity and audience all the time. Baseball clubs are promoting the sport in schools across the country and if you’re looking for a team to join then consider one of the many clubs in London. Not only will you find folks from back home, but you’ll also be surprised at the numbers of Londoners who support and play baseball on a regular basis. Just as soon as you are settled after your international relocation you can contact the Richmond Baseball & Softball Club which has a large membership of people from America and Canada. You’ll be able to meet other people who have gone through their relocation to London and share stories, swap advice and enjoy your favorite sport. They will also be able to tell you where the best baseball pubs are and where everyone gathers to watch the games broadcast from the USA. You can also ask your relocation agents where they like to watch American baseball. With the playoffs just a fortnight (two weeks) away, you won’t have to miss one bit of the penant races. Afterall, October baseball is what every fan waits for! You don’t have to leave everything at home when you are moving here. Some things, like sport, travel very well indeed!